According to Sandy Kulkin, CEO and Founder of PeopleKeys, “People are different, but they’re predictably different.” They’re different in the ways they carry themselves, the ways they are motivated, how they interact with others, how they deal with stress, and even how they seal the deal. But on the other end of the spectrum, the various personality types have been prewired in our systems from the time we were born through our years of “adulting.” The experiences we encountered in childhood tend to dictate how we deal with stress, and our trust in others will come from the adversity we have faced over our lifetime. We can attribute our actions and reactions to our environment and the situations we face. Most people will adapt to the situation and take on a new persona in light of challenge or opportunity. It’s a performance mechanism. It’s a defense mechanism. It’s simply our way of taking charge, communicating, and handling things the way we feel most comfortable. Through awareness and strategy, we can identify the traits of ourselves and others while directing such change towards our benefit and the benefit of our organization. While no two people will be exactly the same, using DISC we can scout out similar personality types, arm them with the right tools and circumstances, and position them for results in whichever capacity we desire. It is also to be noted that while certain personalities may seem similar, they may actually not be similar at all. But with the right motivators and values set into place, you would never know the difference. 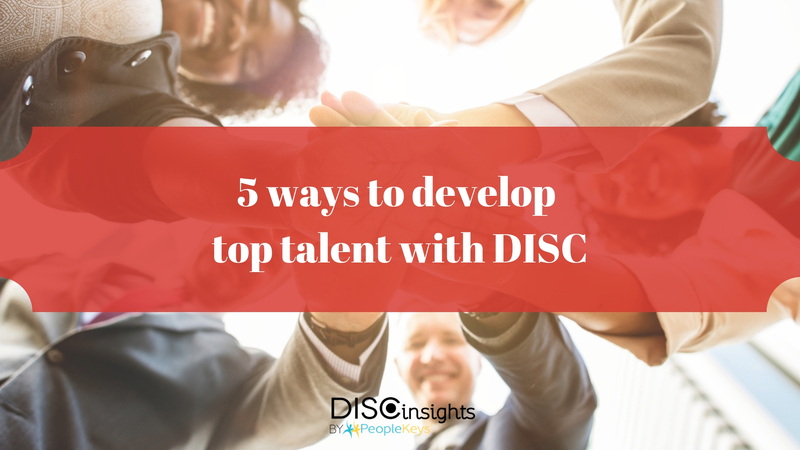 Using DISC and 4D assessment tools in the initial hiring process, we can find key personality types that we feel will be best to add to the team. We can further understand their motivators, their values, their core strengths and weaknesses, and position them where they will excel within our organization. Two sales people may have very similar personality traits, but they may have natural born tendencies that get in the way of a sell and different techniques that will separate their sales in terms of numbers and success. One may do well, while the other may struggle to meet quota. Without utilizing tools for predictive hiring, we might not know this for months down the road. We may lose a lot out on expanding our portfolio, and we will definitely miss opportunities to drive sales that we might have otherwise gotten. Through these tools, we know upfront that Person A doesn’t need a team and works better alone, while Person B definitely needs one and will outperform Person A if we provide them with the right people to get the job done. We may have a ton of diamonds, but many still need to be polished. We need to identify our ideal performer, whether it’s someone already on the team or someone we’d like to clone. This will allow us to create strategies and formulas for replicating top talent. Inherently, we know the type of person we want to put into each position. But, how we optimize our workforce will depend exclusively on what we are willing to put into the end-game. One way of retaining top talent is to show our appreciation. By showing them how irreplaceable they are to the team and asking them to train others, they will feel valued. Asking them to develop programs, training materials or strategies for professional development, we generally find they will gladly accept our offer and model all deliverables after their own techniques and personality traits. This will benefit the team, open doors of understanding and allow others to take on some of the traits of their trainers through time and development. As mentioned earlier, sometimes it’s the environment we’re in that dictates our action. If we know someone performs at the top of their game while in a more forward-moving environment with flexibility and energy surrounding them, we place them in the environment to do so. If we know they prefer structure, quiet spaces, and limited communication with other members of the team, we make amends for this, as well. Some people need to be surrounded with experts, analysts, and leaders to do their job at the best of their capacity. Others need less interaction, but more motivation by outside influencers, for the spark to ignite. By recognizing what makes a person tick, we can duplicate the outcome over and over again. By advancing strategies through the placement of top talent, we motivate others through a more competitive spirit, motivating them take on such tendencies and drive similar impact through their own contributions to the team. Depending on what needs done and how quickly we need to do it, we tend to pair personalities to act as a unit. In some cases, we aren’t trying to replicate top performers, but instead trying to emulate top teams and capabilities. Pairing like-minded people will help us more quickly identify realities and decide what needs to be done. While pairing opposite personalities will promise thorough execution of what we wish to change with various personalities playing their role in achieving the success of immediate projects and strategies. When dealing with difficult clients, when selling to opposite personality types and when negotiating hard contracts, it’s best to pair personality types for the most significant outcome. If we know our top performer has a hard time relating to a specific personality type, we can pair our client to someone else on the team, thereby replicating the same outcome as we would if our client was more outgoing or receptive of change. Because the second team member was able to get through to them and our otherwise top performer wasn’t, this begins to balance out the playing field and both will reign as top performers. Our top performers have different personality types, opposite traits, but produce the same outcomes for the team. In a nutshell, we can replicate top performers, and they can still have different personality traits. If you would like to better understand DISC and how 4D Assessments can turnaround your teams, let us show you on the next page.